At a Roundtable event in Nairobi, Ministers from across Africa sat together with investors and the private sector to determine how best to tackle the investment and credit risk hurdles in order to make African risks bankable. Participants to the Roundtable see the event as timely because it comes at time of geopolitical uncertainties which, according to The World Bank, could lead to “higher borrowing costs or cut off capital flows to emerging and frontier markets”. For African governments part of what is at stake are much needed foreign direct investments and access to affordable financing necessary to spur development and, specifically, to close the estimated USD900 billion infrastructure gap. Equally, the private sector stands to lose billions of dollars in lost opportunities if the requirements for a favourable investment environment are not adequately addressed. Chamsou Andjorin, Director Government Affairs & Market Development, Boeing Intl. Investors are not immune to political and social developments in emerging regions like Africa. In fact, with reduced earnings – the benchmark emerging-market stock index has lost approximately 4 percent annually since 2010 from a high of 22 percent annual return in the preceding decade – investors are now focusing on more than the bottom line in these markets. During the boom years of the last two decades, Africa was experiencing unprecedented GDP growth rates but depressed commodity prices have seen growth in the sub-Saharan Africa region slow to 1.5 percent rate in 2016. According to World Bank estimates, oil exporters account for most of the slowdown owing to their two-thirds contribution to regional output. In a Bloomberg article published in March 2016, emerging market investors from some of the most prominent companies noted the dramatic change in their investing tactics due to global fragility, which they see as unveiling institutional weakness, corruption, poor governance and efficiencies. In this current climate, investors are now keenly tracking social indicators such as corruption rankings, gender parity and the extent that rule of law is respected within emerging markets. “Africa is in a period of realignment in this new global order but I don’t think anyone should bet against its resilience. We are still home to some of the fastest growing economies in the world – as of 2017, the World Economic Forum ranks Côte d’Ivoire, Tanzania and Senegal on the list of the top ten fastest growing economies in the world,” notes George Otieno, ATI’s CEO. In this climate, it is more imperative than ever for African governments to focus on economic diversity to maintain growth while addressing risks to investors. 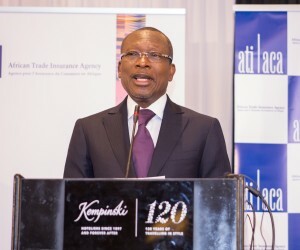 As an internationally respected African institution, the African Trade Insurance Agency (ATI) offers the ideal solution precisely because the company has strong relationships with governments and because its risk assessments and mitigation solutions are seen as credible by global financiers and investors. With ATI involved in a transaction, governments are able to provide security to investors and suppliers against a range of investment risks. In 2016, ATI insured close to USD2 billion (KES202.8 billion) worth of trade and investments and the company is increasingly supporting some of the continent’s most important transactions such as Ethiopian Airline’s fleet expansion and a USD660 million investment in Lake Turkana, Africa’s largest wind farm and, to date, the single largest investment in Kenya. In this environment, ATI’s products are being seen as a valuable tool to enable lenders to take sub-investment grade risk in Africa thus allowing governments and corporates to access more affordable financing. 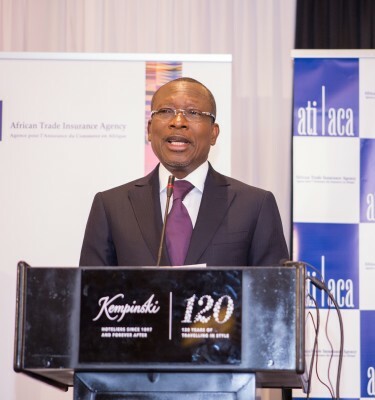 Importantly, in its role as an investment insurer of last resort, ATI is also providing the necessary comfort to support continued investments into the continent amidst a period of uncertainty. Distributed by APO on behalf of African Trade Insurance Agency (ATI).